TeamViewer is an invaluable tool for IT professionals and slightly tech-savvy people alike. Instead of trying to explain to your tech-illiterate friend or family member how to fix a computer problem, you can just get them far enough to download the QuickSupport client and take over from there. 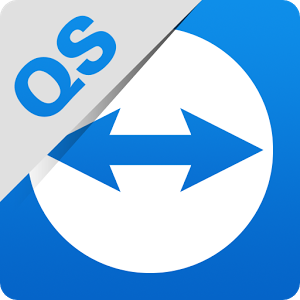 But due to Android app restrictions, the QuickSupport Android app only works on devices with a special component added to the ROM (normal screen sharing works on all Android 5.0+ devices). TeamViewer has worked with several OEMs to add this component to their phones and tablets, and the company announced today that any Motorola phone running Android 7.1.1 or higher will work with QuickSupport. As you might be aware, very few of Motorola's phones currently run that version. For the most part, anything released after (and including) the Z2 Play has 7.1.1, as well as the small number of older phones that Motorola bothered to update. You can download the QuickSupport client from the Play Store below. Judging from the app description, it seems like only the TeamViewer desktop app can be used to control Android devices, and not other Android devices with the TeamViewer app.